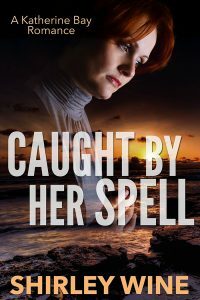 High powered attorney, Grayson Pritchard is the quintessential sceptic –anything he can’t see or touch doesn’t exist –but he will do anything to find his missing sister even if it means consulting a psychic. If you like your heroes flawed and emotionally damaged and heroines who are prepared to sacrifice all for family, you will love this series. Follow three siblings and their friends as they struggle against small town prejudice in the search for that special someone who holds the power and enough love to heal their damaged hearts.